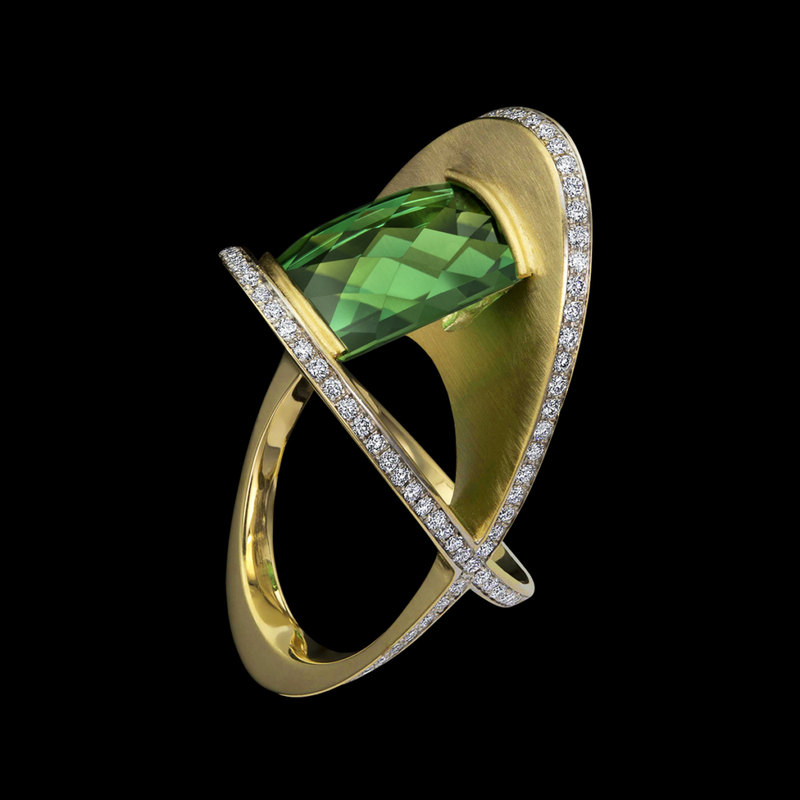 XOX Green Tourmaline Ring features classical elements with bold sculptural lines. This unique ring design a showcases a stunning green tourmaline, cut by lapidary Stephen Avery, resting between dynamic planes of rich yellow gold with diamond pavé. To purchase, call (949) 715-0953 or use our contact form below. When it comes to gemstone cutting, the touch of a master cannot be taught. Stephen Avery’s work is an outstanding example of how that touch transforms a technical task into an art form. A marriage of rigorous training and intuition allow Avery to understand the potential of a raw material. His imagination guides exquisite cuts to reveal captivating forms. Read more in an article on Stephen Avery posted to our blog.